We may wonder why, how and when are we going to finally say that we own an elegant residence. Well some may say if you have a lush garden and infinity pool at your backyard you can confidently say that you own a real amazing and elegant house as a whole. But we must remember that the interior matters also since we stay in the living spaces most of our time. 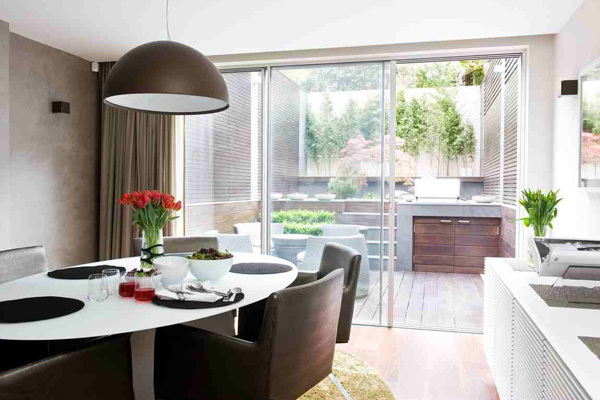 Today we will share to you the amazing interiors that offer contemporary and fascinating designs. This house is called as the Belgravia House and it is spotted in the London, England. Privacy and comfort are uncovered in every detail of the house elements. The designer skillfully chooses the best furniture to creatively mix and match the different decorations and accessories placed in the interior. 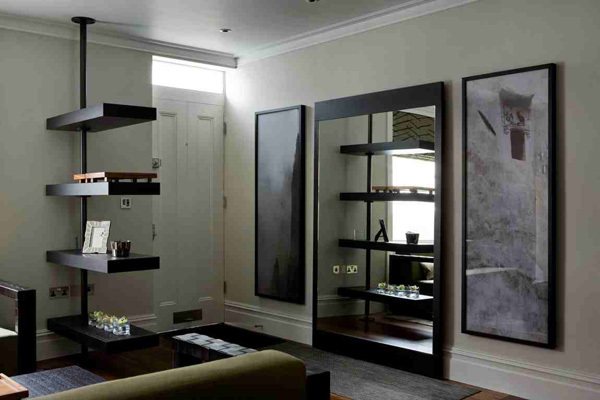 Forms and shapes of the furniture also defines it best functionalities to the house. Now why don’t we scroll down the page and see the set of images below. Calm and warm colors of the furniture harmonized with the type and shape of this sofa. 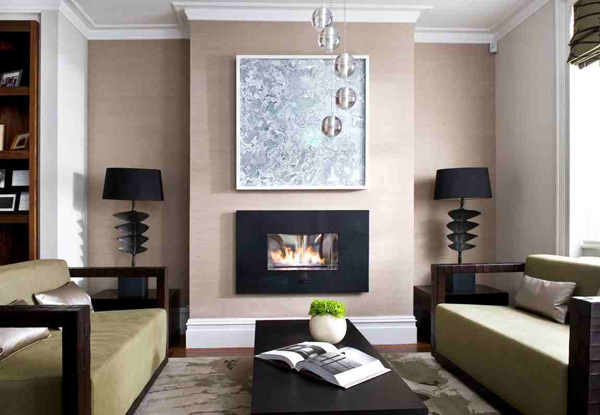 Fireplace set in the center of these two lampshades efficiently maintains the warm temperature in the indoor. Notice how these soft yellow green and beige color of the sofa harmonized with the carpet at the center of this living space. 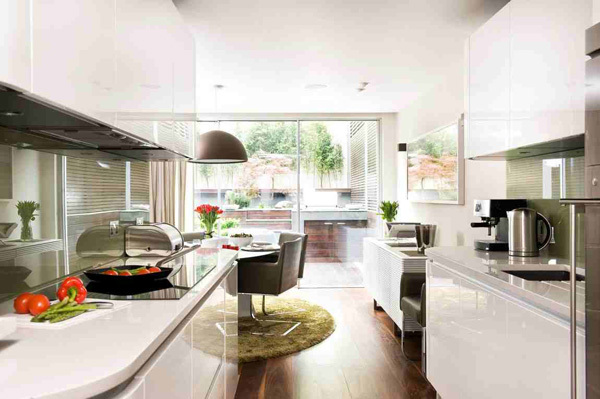 Smooth and flawless cabinets and appliances are well displayed in this modern kitchen. Round table set with 5 chairs may certainly be enough for a small family. 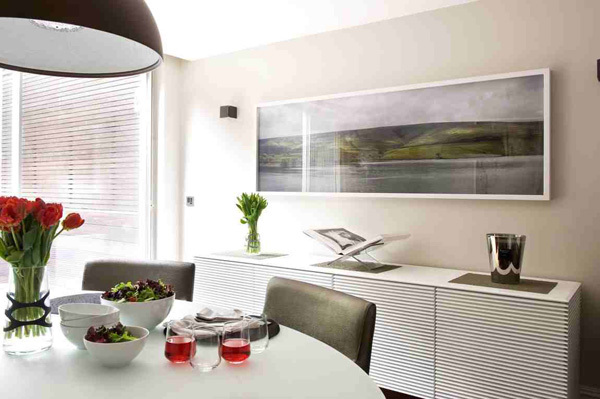 Looking closely at the expensive furniture in the dining space, you may notice how the designer blended it with the unique modern lamp above. Obviously the artistic arrangement of these colorful accessories enhances the color and theme of the interior. 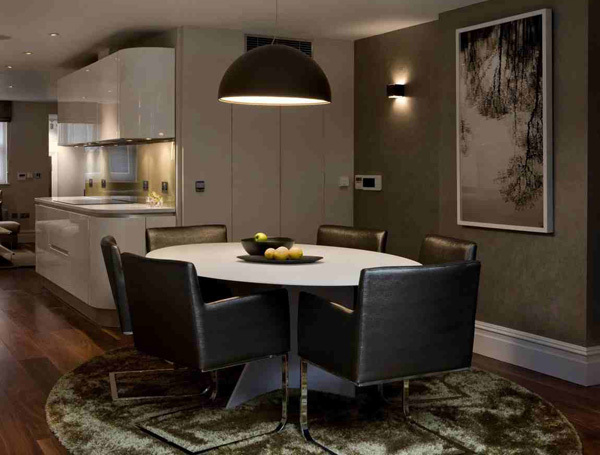 Round carpet simply underlines the shape and uniformity concept in the dining area. 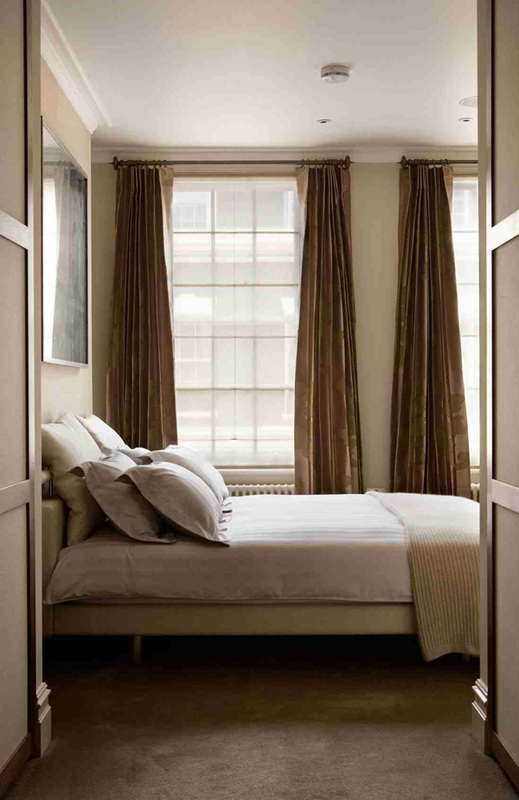 Simple arrangement is set in the bedroom that exposes the comfort and charming zone in the house. Lights installed in the bedroom create a cozy space to relax in during daytime. 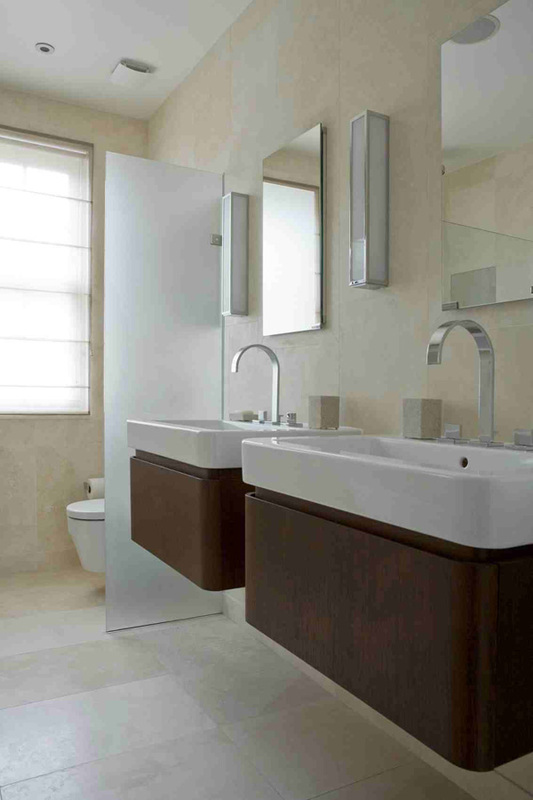 Modern fixture and mirrors are highlighted in this beige themed bathroom. 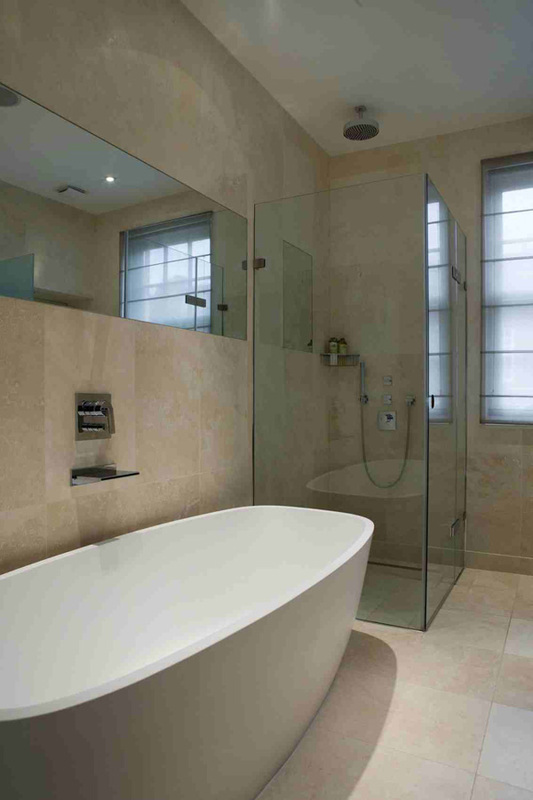 Shower area is designed in the corner framed with glass to make this connected with the other parts of the bathroom. 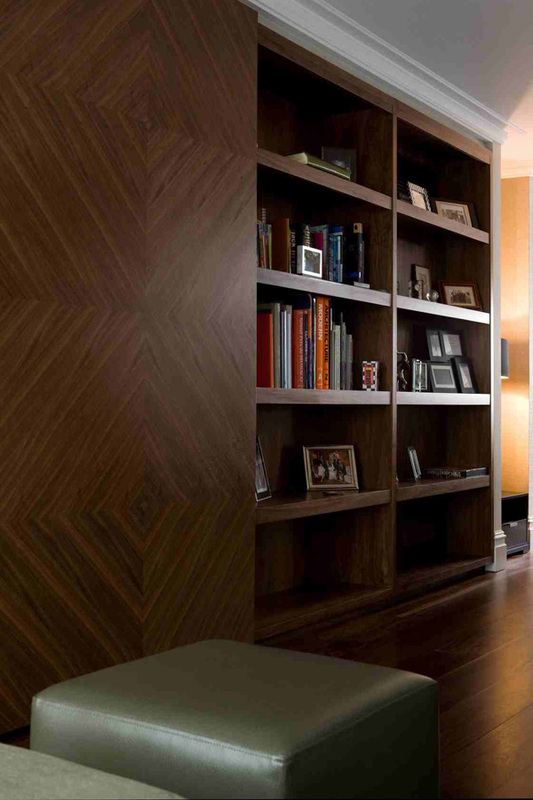 Movement of the patterns and textures graced in the shelves in the interior also speaks of modernity. 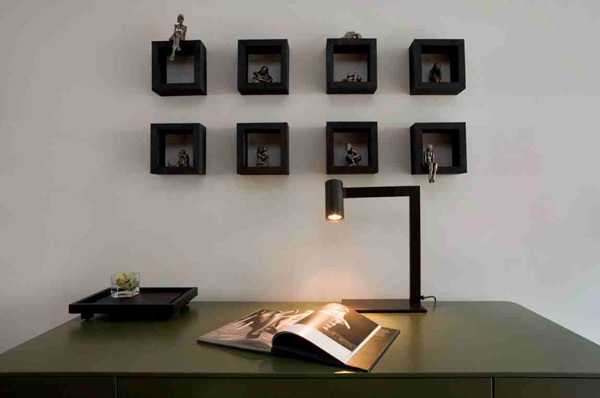 Modern lamp and other accessories are displayed in one of the cabinets in the interior. 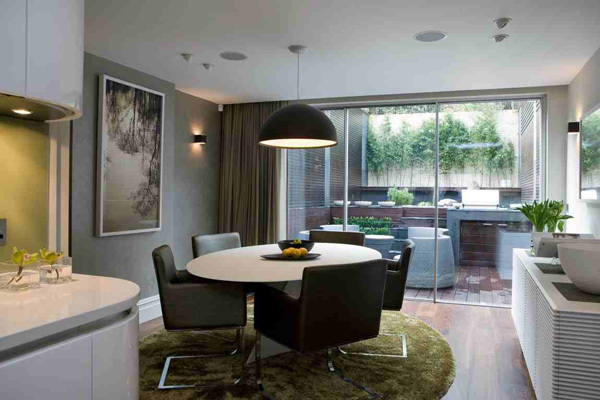 Clean and neat setting in the interior is ensured by the designer to maintain its privacy. 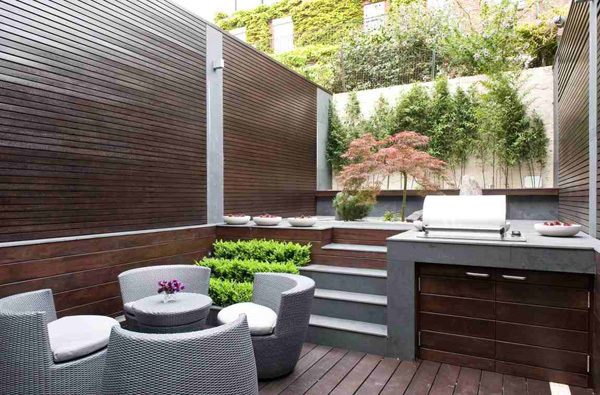 Here’s the patio area graced with the brown and grey palette that harmonized with the green plants and natural lights. With the images presented above, the Staffan Tollgard Design Group obviously displays the different fabulous character of the interior. Definitely the real privacy and comfort are achieved in the interiors. The designer’s idea and concept are very effective to highlights its elegance and sophistication. 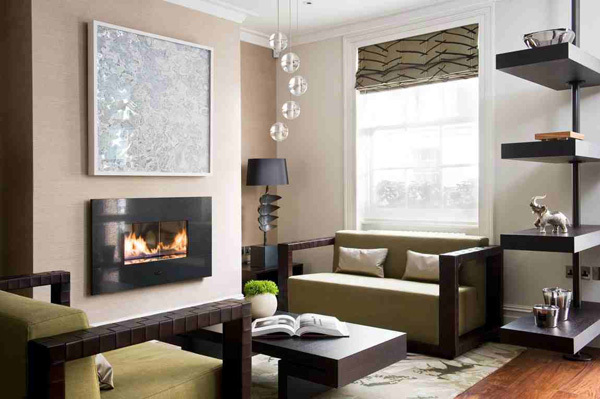 The fireplace in the living space creates a very warm and welcoming mood. We hope that once again we have delivered the best ideas and inspirations to you in the making of your house design.